I honestly can't remember the last time I wore a tube top, it was probably back in 8th grade when I thought I was the coolest kid in class (and I wasn't). I also really hate subconsciously and continuously having to adjust it at all times. Overall, it's just not my thing. However, this one I am wearing here is an exception. 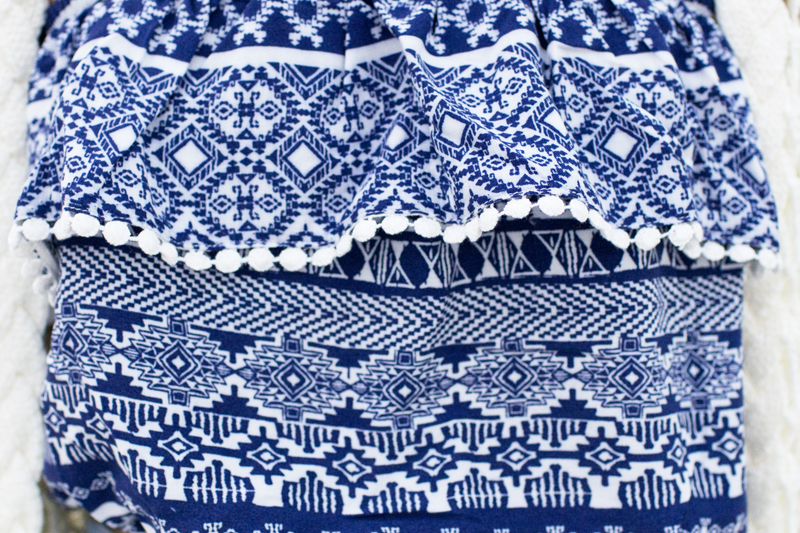 I love the blue and white tribal print, the ruffled overlay, and the cute dotted trim so much that I looked past the fact that it is a tube top. I paired it with these high waisted denim shorts with heart shaped pockets I have had for years and this amazing crochet knit duster with fringes. Blue tribal print tube top c/o Charlotte Russe. Crochet knit duster c/o Irene's Story. High waisted denim shorts with heart shaped pockets from Japan. Silver and blue handmade leather bag c/o Stella and Lori. 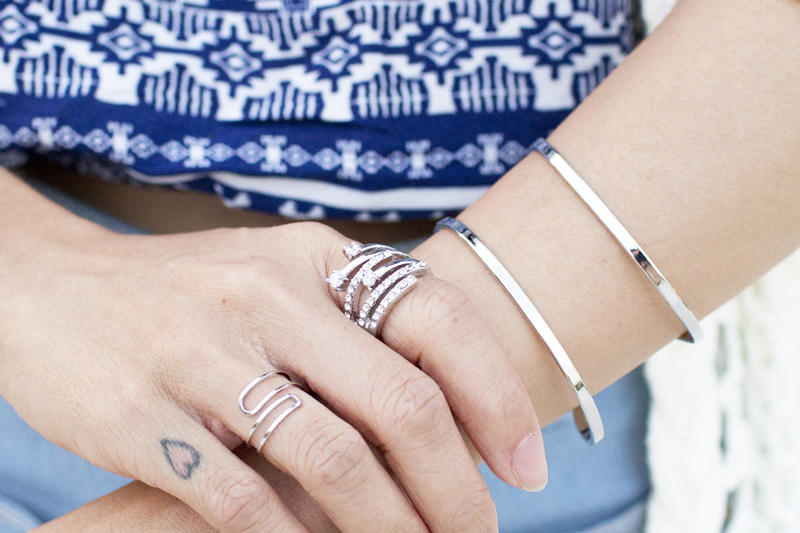 Silver wide line ring c/o Infinitine. Cubic zirconia shooting star ring c/o Infinitine. Two lines bangle bracelet c/o Infinitine. I love the summery look. The pop of royal blue makes the look really shine. I feel like you should be wearing this outfit on the beach. Gorgeous photographs, your top is lovely!